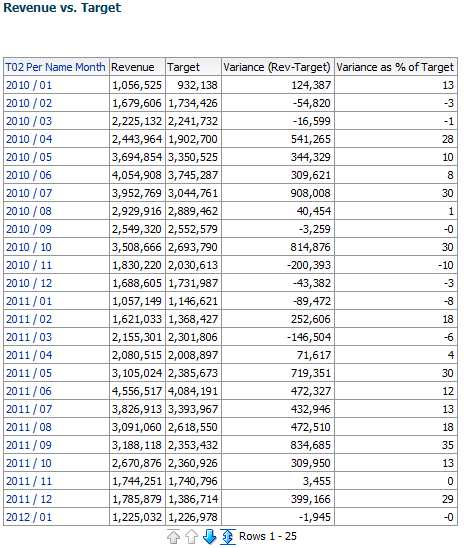 Very often we are required to create an Analysis that compares a value to it's target. In most cases it's called Actual vs. Budget report. In this post we will consider few options how to do it, beyond the naive approach. 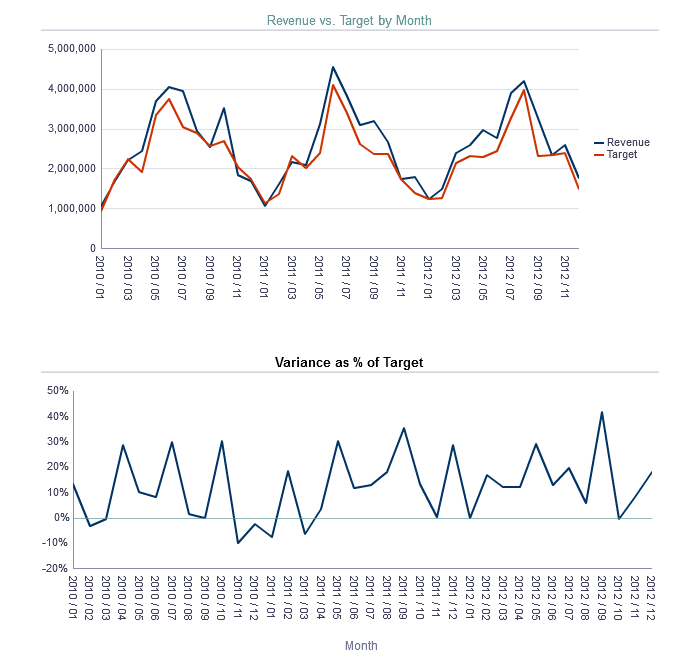 I'll use my Sample Application Revenue and Target Revenue on Month Level for the example (Actually, if you try to recreate it, it is enhanced Sample Sales and I'm using Target+400,000 as Revenue Target, since the Sample sales data is somewhat optimistic). 1. At General Tab I've set Legend to None. 2. 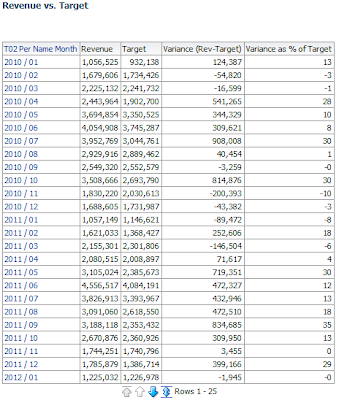 At Style Tab, in Style and Conditional Formatting I changed the Line With to 2px and changed the Type to Off. (I also prefer to remove the Gridlines, it's a meter of taste). 4. At Titles and Labels Tab I changed the legend to what you see. So my solution is to combing the 2 attitudes. 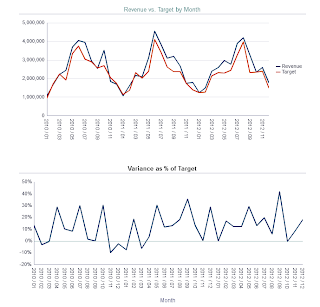 I will preserver the original lines of Revenue and Target, but will add the Variance (or % of Variance from Target) as Bar in the graph (this is a line-bar graph). 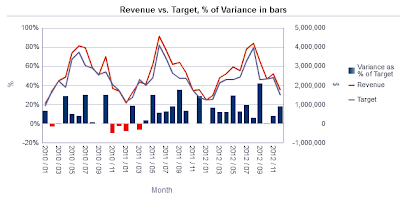 This is a graph with Variance in bars. This is a graph with % Variance in bars (and Gridlines). I prefer the first one. 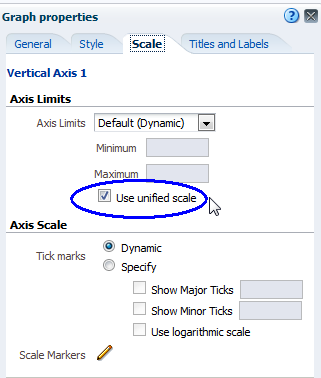 In % variance I had to manually control the Axis limits in Scale Tab. 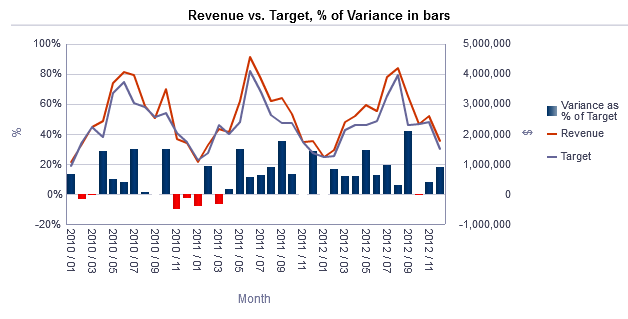 While in Revenue vs. Target with Variance in bars, all I did was to "Use unified scale". 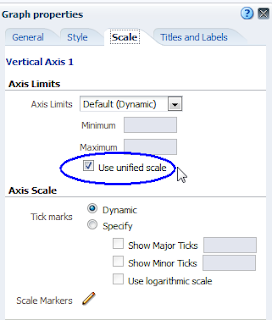 In most cases it's desirable, if possible, to use unified scale and not 2 Axis graphs. 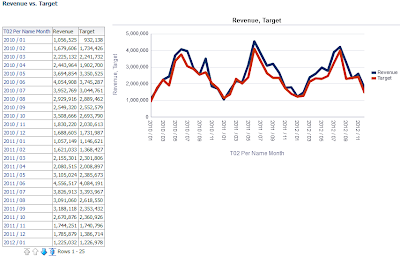 In 2 Axis graphs the viewer has to associate lines and bar with relevant axis. It's not always working, and always requires additional effort. 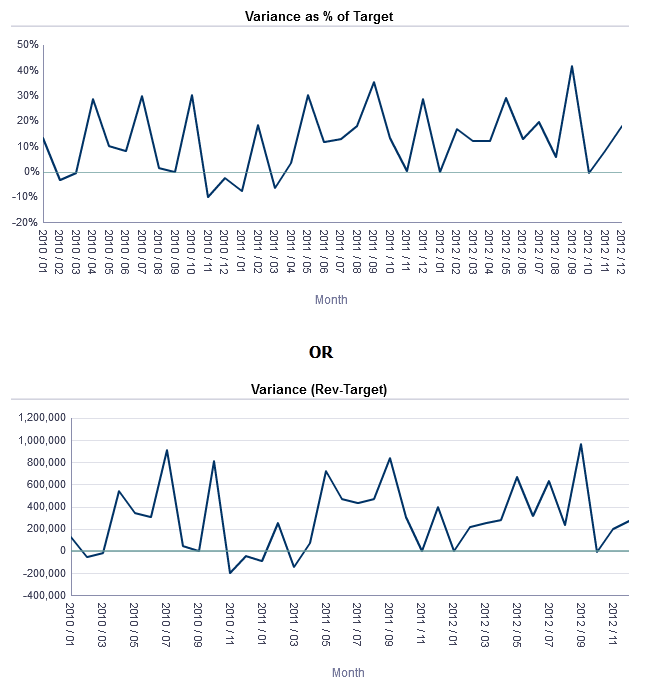 Which chart type for two lines and bars? 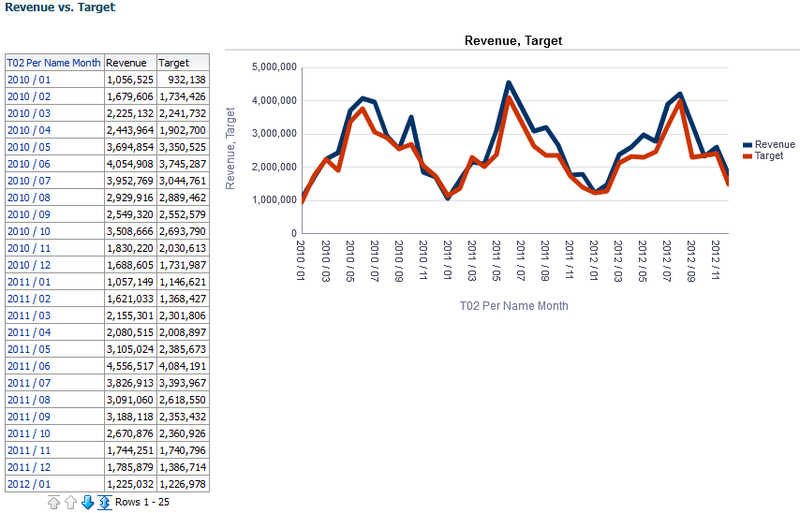 The chart type that was used for 2 lines and bar was, dual line bar chart. The only type that supports dual Axis in Answers. 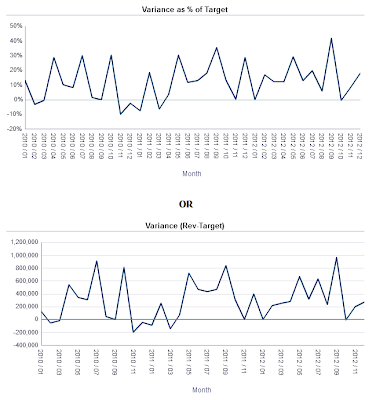 In which OBIEE 11.1.1.x version this chart type exist? 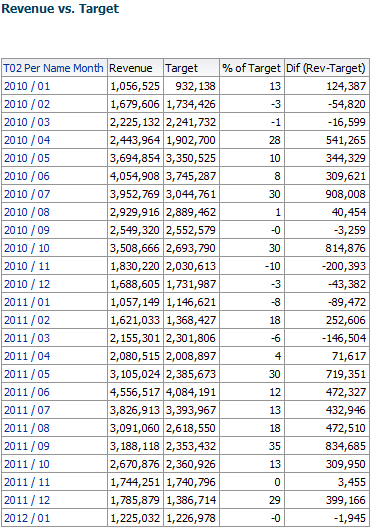 line-bar graph exists in all 11 versions. It exited in 10g as well.